inTone can be anything. It is a simple jamming tool as well as sophisticated playback machine. 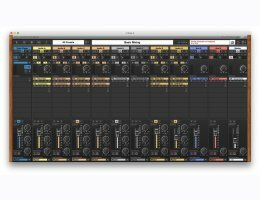 It is live production mixer that processes multiple audio inputs with studio plug-ins. inTone plays files and allows you to play virtual instruments, with ability to change a track, effect or instrument configuration in no time! It is also a multitrack recorder, but you can make it be something completely different. It`s a host for amp simulating software, that spares you from lifting heavy gear. It`s a truck loaded with equipment that will meet any band`s raider. inTone 2 is a universal tool, that finds its place on stage, club or pub, in band`s rehearsal rooms, at music schools, in home studios, in a touring bus, at a park bench, at a party... Just about anywhere, where you desire to make music.